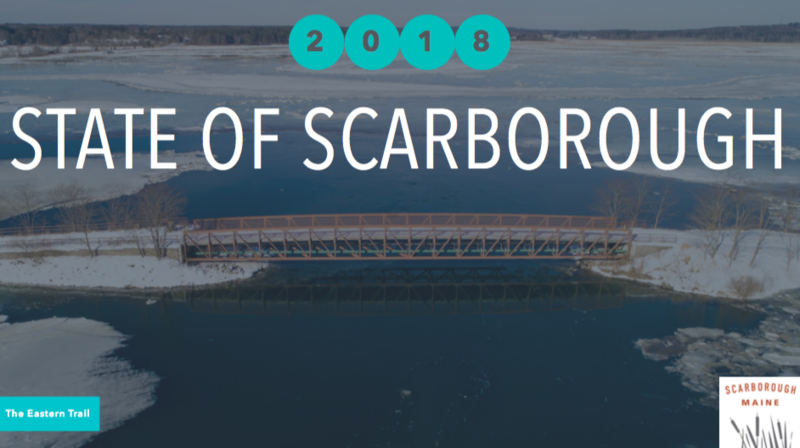 Tom Hall, Scarborough Town Manager, made his annual State of the Scarborough presentation to the Scarborough Chamber of Commerce on Thursday, February 15. Piper Shores hosted the meeting in the new art center. The Town of Scarborough plans to conduct a full revaluation of properties in Scarborough over a two-year period, starting with commercial properties in 2018. Residential properties will be revalued the following year. Larissa Crockett, Scarborough’s Assistant Town Manager prepared the following fact sheet to answer questions about the purpose and the procedures for the revaluation. Please note that the Town Council will be voting on the funding for phase one of the revaluation at their regular Council meeting on Wednesday, February 21, 2018. Public comments are always welcome at Town Council meetings. Town Staff contact information is provided at the end of the Fact Sheet. 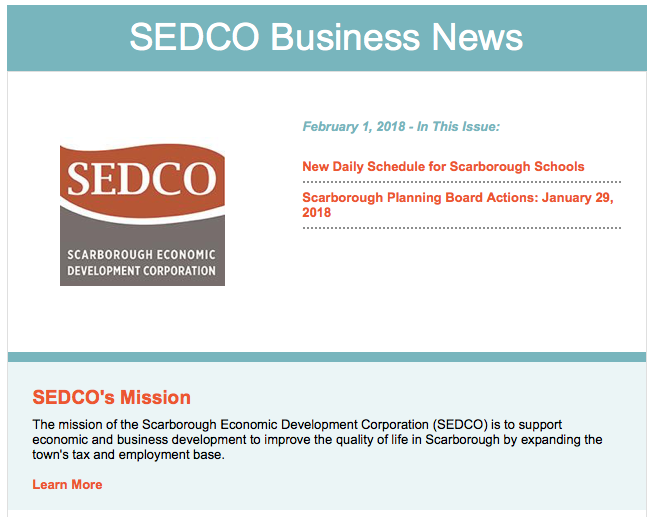 Why is the Town of Scarborough conducting a revaluation? revaluation to ensure that town assessments reflect current market values. Why is the revaluation focused on commercial and industrial properties? When will phase one take place? How will this phase of the revaluation be conducted? The Town is contracting with KRT Appraisal (KRT) from Haverhill, MA for phase one of the revaluation. KRT will conduct an on-site exterior measurement and interior inspection of all commercial and industrial property located in Scarborough. All KRT staff will have proper identification as well as a letter from the Town with a vehicle description and purpose for visiting the property. These visits will provide KRT with the opportunity to verify all of the information on the existing property record card and to take updated photos of each property. When data collection is complete KRT will notify each property owner of any changes in assessed value and provide time for informal hearings with property owners that disagree with the new assessments. Are my taxes going to increase? If your property is assessed below the fair market value, you will likely see an increase in property taxes in FY2019. The amount of this increase is not possible to predict. Though no one likes to pay more in taxes you may take some comfort from knowing that if you have an increase it is because your property asset has increased in value. To find out what your current town assessed value is please check out the Town Assessors page of our website, http://www.scarboroughmaine.org/departments/assessing. If you are leasing your property how the new assessments affect you will depend on your contract with your property’s owner. How can I share my thoughts about this process? The Town Manager, Tom Hall, Asst. Town Manager, Larissa Crockett, and Town Assessor, David Bouffard, are all available to answer your questions and hear your concerns. The Town Council will be voting on the funding for phase one of the revaluation at their regular Council meeting on Wednesday, February 21, 2018. Public comments are always welcome at Town Council meetings. Looking for more information on revaluations in Maine? Check out this fact sheet from the Maine Property Tax Division.